Legacy businesses are continually putting up barriers to innovation in the distribution of video content, despite a widespread acceptance of what needs to happen, Vice founder Shane Smith has claimed. 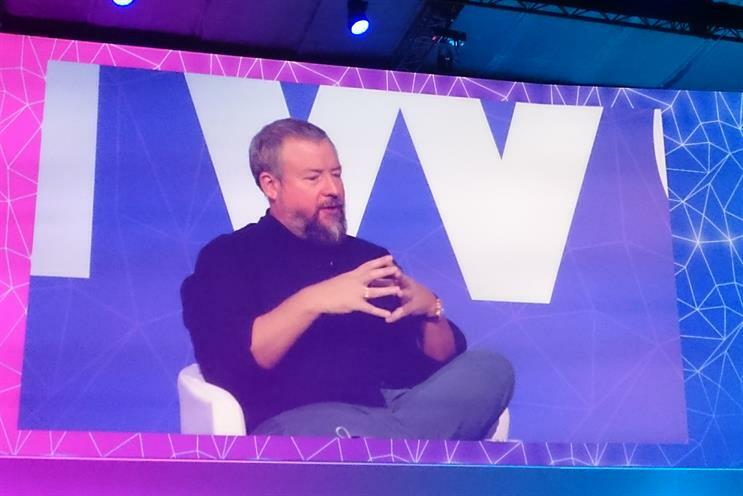 Speaking to an audience at Mobile World Congress in Barcelona today, Smith announced a series of deals with mobile providers across the world to help it push content from its cable TV brand, Viceland, to mobile. Smith said: "We’re trying to do this three screens, on- screen OTT platform, and the biggest surprise has been the roadblocks everybody throws up to stop that from happening, even though everybody knows that that’s where media has to get to." Three screens, one screen OTT refers to being able to program television, web and mobile content together and use over-the-top delivery as part of the distribution. He added: "Everyone talks about innovation and disruption, but the fact is that when you try to do something different, everyone will say, we’re going to try to stop you every step along the way." Smith went on to talk about the challenge for mobile providers with an increasing scope to provide content but a lack of content itself. "Even if we embrace innovation – holograms, AR, all of these new technologies, – you’re going to need to have great premium content," he said. "Everyone’s investing into platform, platform, platform, but what are you going to fill the pipe with? "At the end of the day, algorithms can’t make content, people have to make content. Those media brands that grow globally are going to become more and more important." Smith cited the takeover of Time Warner by US mobile network AT&T, which is set to go ahead without a review by American regulators, as an indication of where things were moving – meaning that it is "a great time to be a content creator". But he criticised networks who believed the need to offer content could be met by packaging products available elsewhere, such as Netflix. "You can get Netflix on your own," he said. "What you need to have is exclusive content. If AT&T is the only place you can watch Game of Thrones, that’s going to be very good for AT&T. "If your mobile content strategy is to resell Netflix, that’s lazy, it’s probably stupid and it’s not going to get you where you need to go."